You won’t find the term “Shared Church” in the Bible. But you will find the practice in the early church. The gap between what most of us know as “church” and how the New Testament describes it began to trouble me years ago. My uneasiness grew during 21 years as a church planter and pastor. The concern came into sharp focus after countless attempts to interest churches in equipping believers for their daily work. I started to realize that typical meetings of the gathered-church provide no space for hearing believers tell what God is doing in and through them in the scattered church. The Sunday-Monday gap is widened by the lack of reporting from the “front lines” of workplaces, neighborhoods, families, and other daily experience. All of this prompted me to begin research for a new book. This study took me in two directions. First, I investigated the implications of Jesus’s New Command that we love one another as he loves us. Those few words became the seeds from which grew the dozens of one-another/each-other instructions throughout the New Testament. I discovered that at least seven of those commands are actions that can be incorporated into our main weekly meetings as believers. Second, I began trying to locate churches that were, to one degree or another, already participatory, interactive, and practicing one-anothering. To my delight, I found far more shared-church examples than I had hoped for. These two lines of research eventually came together in Curing Sunday Spectatoritis: From Passivity to Participation in Church. The first chapters present the New Testament basis for participatory church meetings and identify many of our humanly-created traditions that hamper the priesthood of all believers. Chapter Six offers stories from 25 church leaders who describe how they are opening their services to meaningful one-anothering. And Chapter Seven suggests a number of ways to prepare a congregation for transitioning from monological meetings to dialogical meetings. Like the book, this Shared Church website also aims for participation and dialogue. 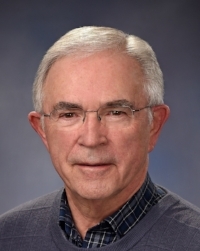 Larry Peabody has served as a state employee, business owner, church planter, and senior pastor. He currently teaches the theology of everyday work for the Bakke Graduate University. He is the author of Serving Christ in the Workplace and Job-Shadowing Daniel: Walking the Talk at Work. He and his wife, Sharon, live in Lacey, WA.